The health and functionality of our computers should be tended to like we do with our own health. As we can plainly see, computers, laptops and tablets are now essential elements of our day to day lives. I would say that people depend a lot on these devices even for their routine tasks. Nowadays, everyone uses computers for working, learning, storing random files and photos and much more. In such cases, it is more than important to protect our devices. Computers usually crash and become damaged due to viruses, so we have to not let the viruses spoil our computers and storage. If that is what you want to do, then you should get the antivirus software installed on your computer. If you are new to using antivirus software and do not know the features and workings of the software, you can try a free antivirus download. Free software will let you know how to use the interface, how often the software will check for viruses and how to set it for automatic updates. If you have any inconveniences with the free antivirus software, you do not mind as you are not spending anything. However, you can find some features that you want may be missing from the free antivirus version. Once you get the hang of the antivirus software, you can then move onto downloading the premium product, which is available for pay. You cannot come to a decision just like that, with respect to choosing the antivirus software. At times, the free antivirus software works better than the paid software. Not all the free antivirus software programs are designed with a lack of features in mind. Sometimes you can find the antivirus software, which can be downloaded free of cost for a time spam of 2 weeks to a month. Regardless ofhow much you are planning to pay, you have to ensure that the antivirus software is designed to provide what you want. Regardless of price, a good antivirus software is something that can able to detect all kinds of viruses and keep the computer safe all the time. If the antivirus software you choose is the current best, then it should automatically initiate a scanning when a new or unfamiliar device is connected with your computer. Accepting the device with no scanning is a sign of a bad antivirus software. You can also set the preferences of the antivirus software based on what you want. If you want to scan your computer every time you switch it on, you can set the preferences according to that. You can turn on the automatic scanning option to scan your computer at every start-up and every time a new device is connected to your computer. There are people that say that some antivirus software programs make their device run slower. You should choose the antivirus software that does not affect the performance of your computer at any cost. 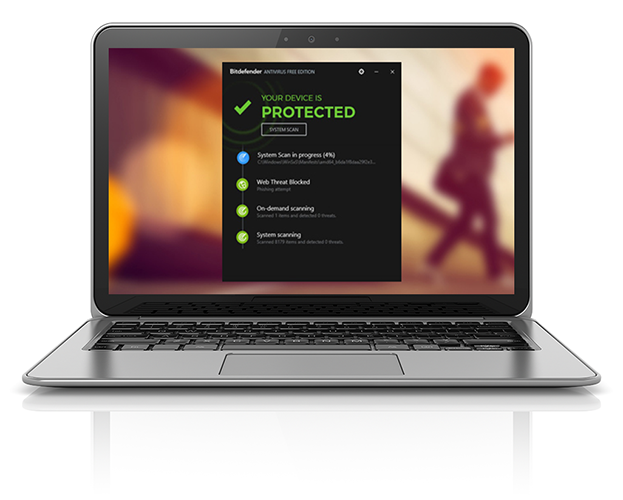 Bitdefender is a great antivirus company, which offers a range of products that remove viruses and keep computers in perfect shape.